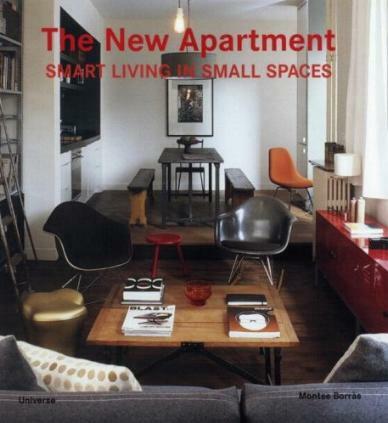 This extremely useful book features apartments around the world that have been transformed into wonderful living spaces. Apartments from the likes of Rome, Madrid, New York, Sao Paulo, Amsterdam, Sydney, Brussels, Paris, Lisbon, London, Los Angeles, and more, an indication that wherever you are in the world, we're all needing more space. We're also given floor plans which may help you rearrange your own living space. In this book you'll come across great and practical ideas to maximize your limited space. Some of the apartments that greatly appealed to me can be found on pages 44-51 (very interesting what you can do with stables! ); pages 116-121; pages 158-163; pages 240-245 (very busy but I do like it); pages 312-317 (can you actually work in that kitchen? ), and 378-385 (my favorite!). Ones I really didn't care for are on pages 32-37; pages 176-183, and pages 290-295. There are also multi-level ideas so you're not restricted to just a room or two on one floor, and check out the "Transportable Solution" - incredible what you can do these days. I like minimalism to a point, but most of these places were too stark and impersonal. Don't let that stop you from getting useful and inspirational ideas from these pages - use your imagination. Conclusion - Love the innovative and creative ideas on these pages.